The Financial Womens Association released a list of ways consumers and leaders in the financial industry can give back now and throughout the year. It's not just money that charities are looking for. Giving Tuesday: it doesn’t have to be just one day a year. On this past Giving Tuesday, the day created three years ago to promote generosity instead of the consumerism of Black Friday and Cyber Monday, the Financial Women’s Association released a list of ways consumers and leaders in the financial industry can give back in the holiday season and throughout the year. The Giving Institute’s biennial GivingUSA study reported in June 2014 that total charitable giving rose for the fourth consecutive year in 2013 to $335.17 billion, with individuals giving $249 billion of that amount. So, how can consumers and leaders in the financial industry give back/? The FWA suggests five ways, and ThinkAdvisor spoke with Openshaw about these ways and how important it is to give back. 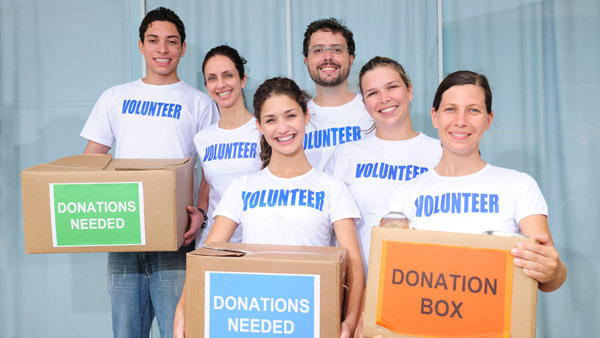 The first way to give back is to attend or throw a charitable event. Not only is the ticket or at least a portion of the ticket tax deductible, but the ticket also supports a cause – anything from universities to religious organizations to education to peace to other causes. And on top of that, Openshaw said, these types of events are great ways to network and build new relationships. “It’s combining that ability to have an impact in a way that matters to you with advancing your own career and your own pocketbook through a tax benefit,” Openshaw said. Openshaw said another way to give back is by throwing a charitable event. The second way to give back is through an online platform like CharityBuzz, which takes the silent auction online. “Charitybuzz is an online platform where consumers can bid for experiences and items that at the same time bring them a tax deduction,” Openshaw said. The 2014 U.S. Trust Study of High Net Worth Philanthropy, conducted with Indiana University’s Lilly School of Philanthropy, found that 49% of high net worth individuals gave online from 2010-2013; 7% said they used crowdfunding sites like Indiegogo, Kickstarter, Kiva, Rockethub or StartSomeGood. According to CharityBuzz, it has helped its nonprofit partners raise more than $100 million since its inception in 2005, and each year the average organization raises more than $50,000 through the online platform. The website lets you bid on items and experiences from hotels, luxury properties and airlines to walk-on roles on a top TV show or lunch with Michael Bloomberg. The FWA first used CharityBuzz last year for a fundraiser, which Openshaw said was “a really good experience,” and again are using the site for their upcoming holiday event. The FWA auction started at 4 p.m. Thursday. The third way to give back, the FWA suggests, is by donating stock. And, she added, donating money is always tax deductible so long as it’s itemized. The fourth way to give back is by supporting a cause. The FWA says the traditional rules of thumb suggest one donate 10% of his/her earnings to charity. Remember, a $1,000 donation equals an approximate out-of-pocket cost of $700, depending on your tax bracket. But it’s not always money that’s donated; sometimes it’s time and services that are needed. “It’s the season where we’re asked to give of our money or our time. We don’t always have to give of our money, it might be our time and … that can be deductible,” Openshaw said. For example, Opensaw suggests, if someone is donating their services they may need to drive to and from places. “And if you’re donating your service … you can deduct the mileage so long as you itemize,” she said. Openshaw suggests people should first focus on what is important to them and what cause they want to support. “What legacy or impact do you have to have? Promoting peace? Economic independence? Advancement of women? Locally, nationally or globally?” she wrote in a statement. The fifth way to give back, and a cause that runs deep within FWA, is to mentor someone. And mentoring is another way someone can devote their time, rather than money. Openshaw has mentored everybody from a relative without a mother to women through the FWA, which believes that mentoring is vital to addressing the shortage of women in the financial industry. Along with FWA, other places to mentor include iMentor, people’s own employers, as well as their own network and neighborhood. What Makes Social Media Users Donate to Charity?